State budgets are interesting in a way that they portray the will and wishes of respective incumbents to satisfy their masses. However, they contain risky aspects that may undermine the prime objectives of a budget itself. So do state governments overspend and slowly get into a debt trap such that they are unable to retrieve back the money spent? It is widely discussed that they are spending more than what they earn. 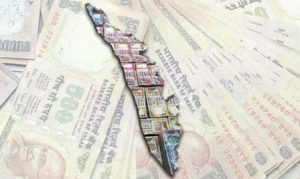 Many states splurge freebies and social welfare measures that speculatively keep them under ecstatic economic expansion or development. Several states in the past had been involved in freebies to boost the living conditions of their poor. The logic they give is to provide a hunger-free environment which accrues benefits, for instance, alleviating social chaos by a deteriorating law and order situation. Way back in 1967, the state of Tamil Nadu witnessed such a freebie scheme of distributing rice at a subsidised price of Rs.3 per kg at Public Distribution Shops (PDS). Since then, the state has been living under a ‘freebie culture’ and overwhelmingly arguing that they are a requisite for fulfilling the needs of a larger section which is deprived of acquiring such commodities. Then and still the question of whether these necessarily reflect inability of masses to buy them on their own plagues social critics’ views. Also read: Indian Defense Budget – Tricked into debt? Now is the time to review this ‘freebie culture’ and break-free as many state governments have now started to borrow irrespective of their revenue potential to fund the freebie and social welfare schemes. This trend is reflected in the state budgets of 2019-20. Tamil Nadu is experiencing a revenue shortfall of Rs.14,315 crore. The debt-State GDP ratio is 23.02 per cent and the threshold limit is 25 per cent. The expenditure is more compared to the revenue receipts – similar to borrowing for day-to-day expenditures of a household. To overcome such crisis, a household has to tremendously increase their revenue. This same logic applies to the state where it has to increase its revenue. Further, it has to revamp all subsidies and only target them with BPL and lower middleclass PDS cardholders. Also, it has to restructure the power subsidy which is universal for targeted households who do not use more than 100 units per month. Power subsidy has been allocated Rs.8,118 crore for the year of 2019-20. Food subsidy also has to be targeted rather than universal. In addition, it has to increase the land tax which is just Rs 2-5 per acre at present. There is no alternative than to meter power supply to farmers and charge those who hold more than 5 acres of cultivable lands. Administrating temple assets and regulating their best use for commercial purpose would certainly increase revenue receipts. The closing of TASMAC shops also means fall in commercial revenue stands about Rs.27,000 crores per annum. 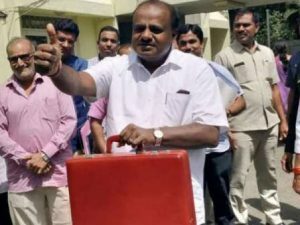 Though it has experienced an increase of 12 per cent higher revenue budget for the year 2019-20, the state is meeting a fiscal deficit of little more than Rs.9,000 crores. But it has a burden of capital expenditure. Total capital revenue is nearly Rs.79,000 crores whereas expenditure is little more than Rs.1,15,000 crore. The revenue receipts’ surpass revenue expenditure. The state has fiscal deficit of Rs.46,910.62 crores and it has debt liability of an estimated 29.98 per cent. Also read: Can Universal Basic Income eliminate poverty? The pro-farmers JD(S) chief minister has earmarked more allocations for farming and rural upliftment. The state has favourable revenue position. But fiscal deficit is contained at 2 per cent and total debt liabilities at 20 per cent of the State GDP. While encountering the explosion of outstanding debts and fiscal deficits, Centre should give powers to Niti Aayog to regulate the freebie schemes and social welfare spending in order to save them from a financial disaster in the offing.